Hiya guys! 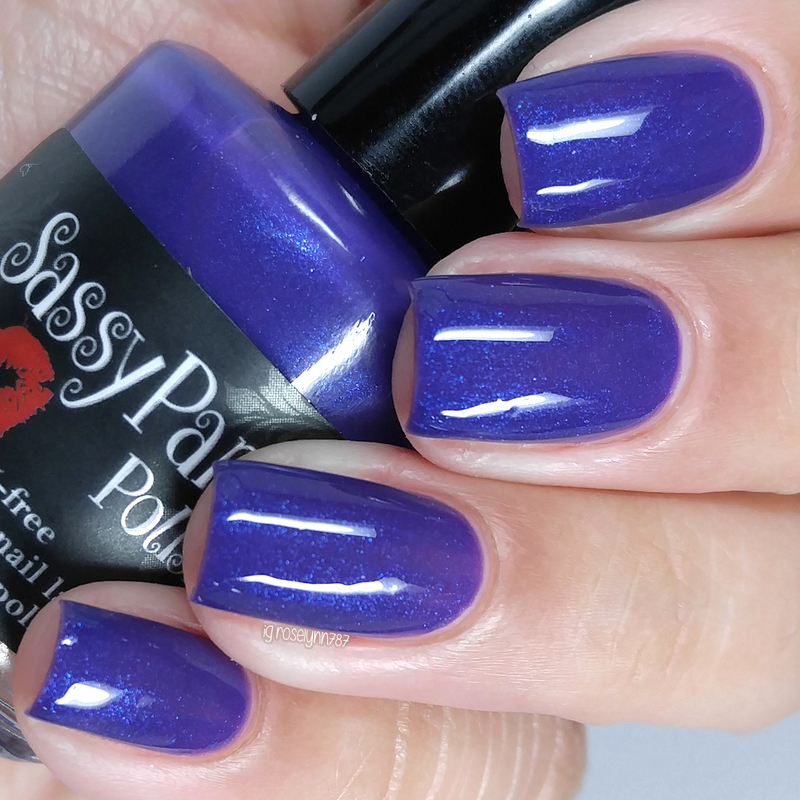 Today I'm sharing swatches for the gorgeous Anniversary Trio by Sassy Pants Polish. 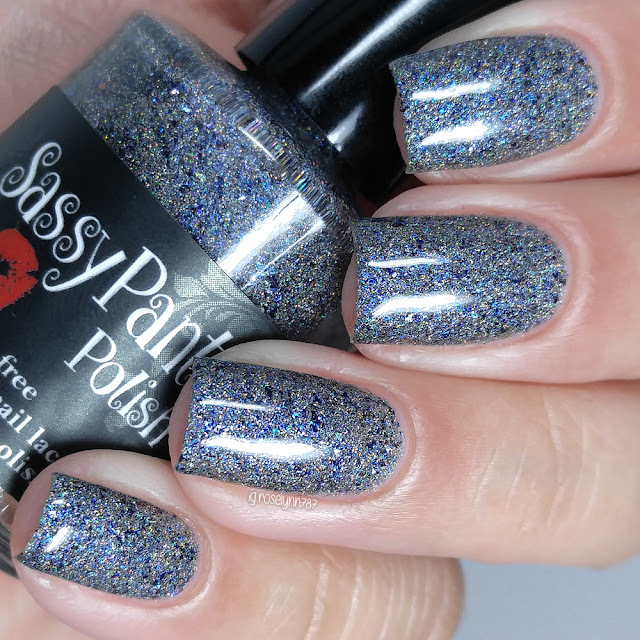 Join me in giving Angie, creator behind Sassy Pants Polish, a round of applause on a success year! This is such a special post to me because I have had the honor of working with Angie since just about the launch of her brand. She's not only a terrific person and friend, but an incredibly creative maker. Without further ado, let's get to the swatches! 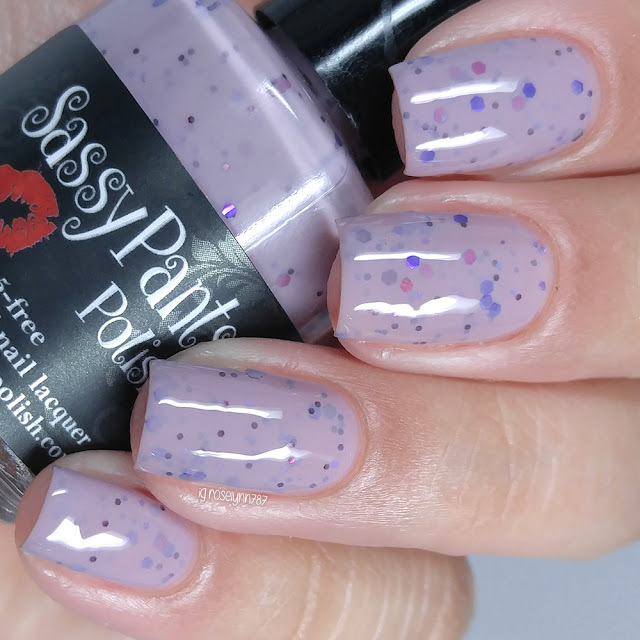 The Anniversary Trio by Sassy Pants Polish will be releasing September 9th at 2PM CST. Each full-size 15mL bottle will retail for $12 and each mini-size 7.5mL bottle will be $8. The full-size trio will trio for $33 and the mini-size set will retail for $22. Celebrate can be described as a gold/silver scattered holographic jelly base loaded with blue purple and green UCC flakies. It's very easy to achieve full coverage with this beauty, but it can also be worn a base as well. The formula has a great consistency for a smooth application. There is no need to dab this on as all the flakies and glitters dispense evenly on the nail. Because of the heavy glitters and flakies (especially if worn for full coverage) this will dry with a bit of a texture that can be smoothed down with topcoat. Shown here in three coats and sealed off with a glossy topcoat. Collaborate can be described as an orchid crelly with magenta, blue, purple, silver, and gray glitters. I love the whole confetti vibe that this color and glitter combination gives off. The formula has a sheer application, but it builds up to an opaque finish with minimal layering. The glitter distribution per brush stroke was very impressive. It didn't need any dabbing whatsoever and didn't require any fishing for glitter. Shown here in two coats and sealed off with a glossy topcoat. Create can be described as a rich vampy purple with blue shimmer. Doesn't this look like the perfect purple for Fall?! Definitely ranks as one of my favorites ever from Sassy Pants. The formula has a sheer application, but builds up nicely and has great self-leveling. Shown here in three coats and sealed off with a glossy topcoat. Overall I think Angie did a fantastic job on this trio, especially when it comes to the uniforming of the names. It's definitely all very purple based, which is one of my favorite colors to wear. Out of the three I can't help but highly suggest Celebrate as a must-have. 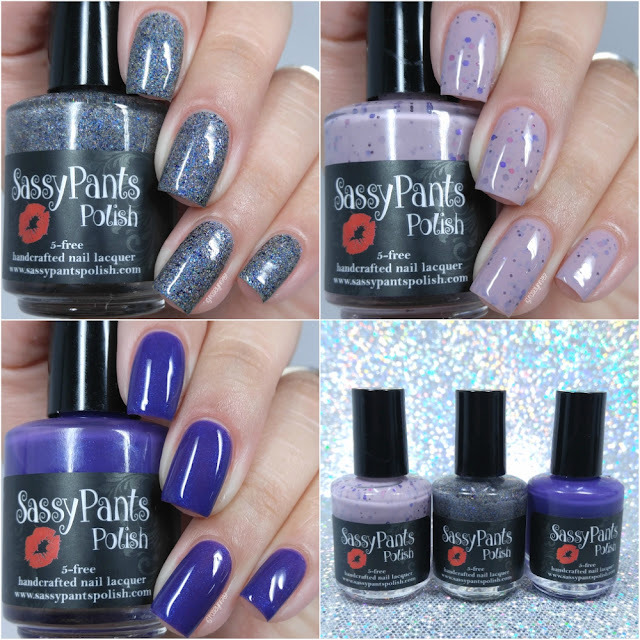 If you haven't tried out Sassy Pants Polish before then this is the trio to do so with. It's the perfect combination to try out the different finishes that Angie excels in creating! 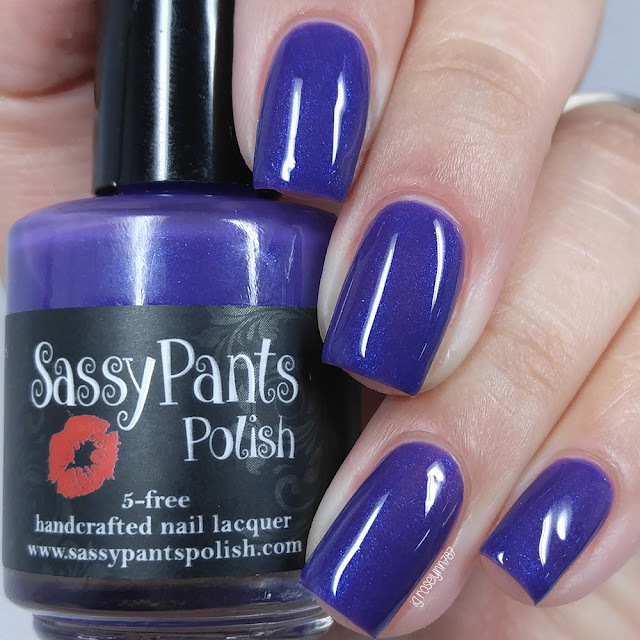 To recap, the Anniversary Trio by Sassy Pants Polish will be releasing September 9th at 2PM CST. Each full-size 15mL bottle will retail for $12 and each mini-size 7.5mL bottle will be $8. The full-size trio will trio for $33 and the mini-size set will retail for $22.